A handful of the prominent wild horse groups have taken to social media to announce the safety of their respective groups of wild horses. If you have been keeping up with Hurricane Florence, you already know that it has caused much destruction. If you are one of the many people wondering if the wild horses in North Carolina were able to withstand the storm, we have some good news! A handful of the prominent wild horse groups have taken to social media to announce the safety of their respective groups of wild horses. Concern has still lingered over the safety of the Shackleford horses, as no one has yet been able to assess their situation in the aftermath of the hurricane. 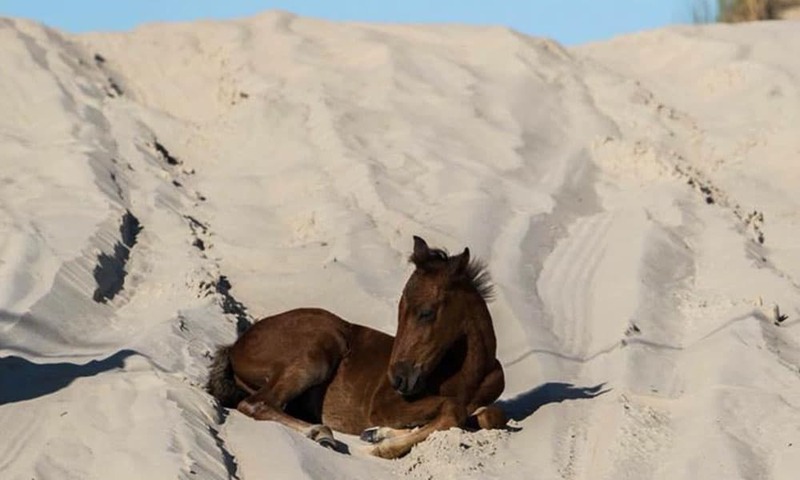 However, an encouraging update came from Cape Lookout National Seashore where it was reported that a group of Shackleford horses were seen wading through the surf and feeding. Don’t let natural disasters get the best of you! Read below to learn how to keep your horses safe.